Meet schoolgirl. Schoolgirl’s sheltered, but sharp-witted. Schoolgirl dreams of great school. Schoolgirl meets man, man shows her a whole new world. Schoolgirl’s romance colors her dreams of school in new light. Schoolgirl is conflicted. Oh, you say you’ve seen this one before? 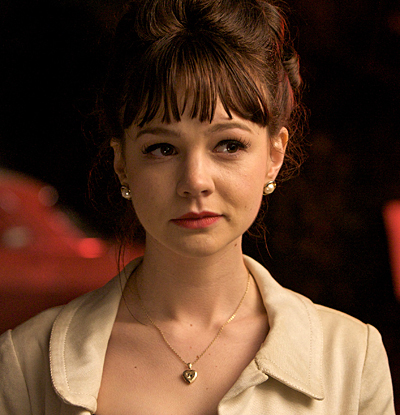 I’m sorry, you’re mistaken — this version stars Carey Mulligan. 16-year-old Jenny Miller (Mulligan) falls for David Goldman (Sarsgaard), a presumably thirty-something businessman. He’s charming and kind, and clearly feels something towards her. Viewed objectively, these advances are actually pretty creepy — and there are moments where Sarsgaard’s explanations to Mulligan’s parents take on the subtle quality of a chummy car dealer’s sales pitch (I give Sarsgaard a lot of credit for playing Goldman with the nuance to make the romance work). But the film allows the viewer to feel comfortable in the midst of the breech of multiple cultural norms — it feels as though we’re viewing the whole situation through the eyes of a 16-year-old who’s been innocently swept off her feet by a man who embraces her desire to be an adult. And why this film owes so much to Mulligan — she enables the film to explore the relationship without making the audience’s skin crawl. Even more, she deepens the film by adding a freshness to a tired storyline. As a postscript, I know exactly why I love Mulligan — she looks exactly like Audrey Tautou. You don’t see the resemblance? Oh well, just let me be with my Euro Actress pinings.